Many also walk away wondering what can be done to help. While there are a number of businesses involved in connecting volunteers to organizations, this service often comes with a hefty fee and a longer stay is required. Short-term volunteers are typically harder to place because of the time needed to train, or the wildly varying numbers of volunteers during any given period. To that end, we polled some Saigon residents about charities or organizations that visitors to Saigon might partner with and here are some of their responses. Thien Phuoc is a non-government organization acting under the Catholic Committee of Ho Chi Minh City. It cares for disabled children and disabled orphans, providing healthcare, rehabilitation and education for children with Epilepsy, Cerebral Palsy and Down Syndrome. Volunteers can help in the office, work with the children, or simply visit for 2 hours to help with physiotherapy and feeding. The Leaf Pagoda provides free language lessons to disadvantaged / poor students. The Little Rose Shelter is a refuge that provides shelter, care, education, and assistance for young girls who are at high-risk for, or are survivors of, sexual abuse or trafficking in Vietnam. They accept both year-round and summer interns who can translate documents, provide support to staff and/or work directly with the girls. Volunteers may also propose their own projects. Recently opened in November 2017, Boulevard Grill sets aside a certain amount from every bill towards charitable endeavors. A handy monitor right in front of the cheerful California diner-type eatery shows how much has been collected for the day, week and month. The restaurant serves up excellent grilled meats from the USA, Australia and Japan and has superb lunch specials starting from less than USD 5. Pastas, salads and burgers round out the menu, as well as a daily happy hour from 4-8pm with a delicious selection of tapas. Address: Ground Floor of the Leman Luxury Apartment, 22 Truong Dinh, District 3, just a 15-minute walk from ÊMM Hotel Saigon. Blanc. Restaurant serves up Vietnamese fusion cuisine in a beautifully renovated home originally built in the 1930s. The colonial-era home retains a residential feel in its divided spaces tastefully decorated with Asiatic antiques mixed with modern art for a sophisticated yet homey feel. Best of all, the restaurant employs all hearing-impaired wait staff, meaning guests must learn to use simple Vietnamese Sign Language (helpfully pictured on the menu) to communicate with staff, a fascinating yet not-too-difficult task. The staff are incredibly engaging and patient. The deaf in Vietnam are often offered jobs in minimally-paid industries such as massage, handicrafts and factories, so this kind of employment provides them with a living wage as well as a chance to interact with society. 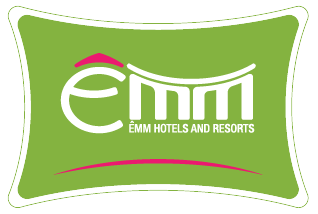 Address: 178/180D Hai Bà Trưng Street, District 1, just an 8-minute walk from ÊMM Hotel Saigon. Noir. Dining in the Dark is owned by the same people as Blanc (above) and the two restaurants share an entrance. However, instead of hearing-impaired staff, it’s visually-impaired wait staff who guide you through this dining experience in the pitch dark. Start off in the cozy, dimly-lit lounge where anything that glows (phones, watches, etc.) are locked away. Guests can play a few games of dexterity which are surprisingly difficult when blindfolded. Select from various set menus (eg. Western, Asian or Vegetarian) without knowing the exact dishes. Part of the experience is trying to guess what the components of each dish are. The kitchen makes it extremely challenging by creatively playing with flavors and textures. After the meal, come back to the lounge where the dishes are revealed. Bright Solutions helps women from disadvantaged backgrounds (limited schooling, often untrained in vocational skills, subjected to social stigmas, domestic violence and “shame” over family or health experiences) obtain vocational (sewing and handicraft) as well as behavior skills to break free from the cycle of poverty. The women of Bright Solutions create adorable products for babies, toddlers and children including soft activity and play books, puppets, bags and more. Volunteer opportunities are also available. Mekong Plus also helps create sustainable employment for over 200 underprivileged women in Vietnam and Cambodia. The company started out making quilts, both because it required a low start-up investment and allowed the women to work from home. The company has since expanded to creating accessories like bags, scarves and even bicycles from environmentally-sustainable raw materials such as bamboo, water hyacinth and papier mache. Proceeds go towards the women as well as to community-wide initiatives such as micro-financing, scholarships, and educational programs. 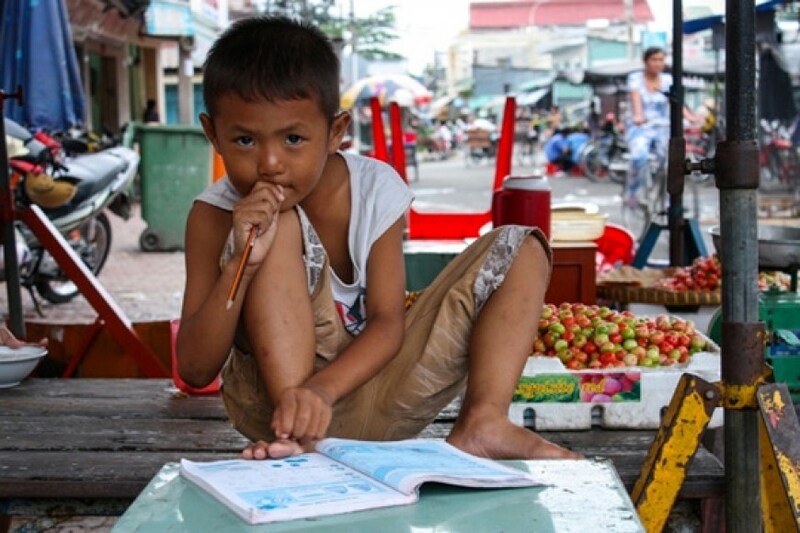 Saigon Children's Charity operates several programs designed to help Vietnam’s most disadvantaged children in Southern Vietnam (Ho Chi Minh City down to the Mekong Delta) through education and training. The charity provides scholarships to around 2,500 disadvantaged children and young people every year, ranging from kindergarten to university level. They also build schools (mainly kindergartens) and improve existing ones, while also providing training in English, IT and hospitality among other skills. Volunteers who have a special skill and who are able to help out for at least 6 months are welcome, or you can support the charity by buying a cloth tote bag or adorable Christmas and Tet cards based on drawings by the children.